The lawn is an integral part of the landscape. It is the canvas on which the rest of the plantings are placed. Turfgrass that is properly placed and well maintained will enhance any landscape. On the other hand, turfgrass that is being grown in areas that are not conducive to best health, or turfgrass that is properly maintained, will detract from the overall landscape appearance. Lawns increase the aesthetic and economic value of the landscape, as well as providing recreational surfaces, erosion control and other ecological benefits. Choosing the proper grass for your specific site is the most important step in establishing a lawn, and the decision should be made carefully. Table 1 provides information to assist in the selection process. Once a specific turfgrass is selected, choose the lawn site carefully to provide for best turfgrass growth, as well as maximizing usability of the lawn. What type of lawn is desired or expected? Decide if the lawn is to be a showplace, an average lawn, or just a cover to lessen soil erosion. What level of maintenance will the lawn be given? Levels of maintenance are closely related to cost and time, with high-maintenance turf costing the most and taking the most time to maintain. Are there any physical or environmental limitations to the planting site? Quality turf requires irrigation, so water quantity and quality are a selection factor. Can the area be easily mowed? Soil type, pH, drainage, and other soil characteristics are very important. The amount of shade the turf will receive, as well as tree root competition, can limit the selection of suitable grasses. Consider your geographical location in terms of temperature extremes. Certain grasses do best in hot environments, while others prefer cooler environments. With answers to these questions in mind, use Table 1 and the following descriptions to select the proper turfgrass for your Southern lawn. Your local County Cooperative Extension Service office can help recommend turfgrasses best suited for your location. Environmental and soil conditions vary throughout South Carolina and certain turfgrasses grow better in some locations than others. There are several turfgrass species and cultivars of each from which a selection can be made. Some turfgrasses can be planted across the whole region, while others perform best in certain geographical areas (see Figure 1). Note: Grasses grown in most areas of the southern United States are maintained in a totally different way from those grown in the northern regions. Northern-adapted grasses (e.g., fine fescue, Kentucky bluegrass, and ryegrass) will grow in areas of South Carolina only during fall, winter and early spring months as part of overseeding, and will not survive year-round except turfgrass tall fescue at higher elevations in the mountains or upper Piedmont regions. Although the general use ranges of various turfgrasses in the southern United States are outlined in Figure 1, the local or microenvironment of a particular landscape often dictates which grasses can be grown successfully. For example, in the Piedmont regions, centipedegrass often performs best if grown in relative open areas (little shade) on south-facing or southwestern slopes. If grown on north-facing or northeastern slopes and/or in shade, centipedegrass in the Piedmont often suffers from periodic low winter temperature kill. Another example is tall fescue. In the Piedmont regions, it does well in slightly shady sites and sites with shade from afternoon sun, or if the yard slopes towards the north or northeast. Tall fescue, however, often suffers during the summer if grown in open, sunny sites located on south- or southeastern-facing slopes. Several of the turfgrasses can grow in a wide range of soil conditions, including pH values of 5.0 to 8.5. Soil types in which most turfgrasses are grown in the southern United States, include sand, clay, marl or muck-type soils. For example, centipedegrass and carpetgrass grow best in acid (<7.0) soils. Iron chlorosis is a problem if they are grown in high pH (alkaline, >7.0) soils. Carpetgrass grows best in wet soils, whereas an established planting of bahiagrass is more tolerant of drought and grows better in sandy soil than most other lawn grasses. Tall fescue does best in heavier clay soils. Turfgrasses vary in their ability to withstand stresses. Drought tolerance is a measure of how well the turf will survive extended dry periods without irrigation or rainfall. Turf can also be subjected to salt stress by water from an irrigation system or as spray from the ocean. Shade from trees or a building is a common occurrence in most landscapes. Turfgrasses vary in their shade tolerance. Wear tolerance is a measure of how well a grass continues to grow after being walked or played upon. Heat stress eliminates most cool-season grasses as permanent Southern lawns with the exception of tall fescue in the upper Piedmont and Mountain regions (>800 ft. elevation). Creeping red fescue and Kentucky bluegrass may also grow at the upper elevations (>1000 ft. elevation) especially in shady conditions. Fescue provides year-round green color if watered during summer. It, however, will not withstand open, sunny conditions for long periods of time at elevations below about 800 ft. unless the site is slightly shaded or is on a north- or northeast-facing slope. 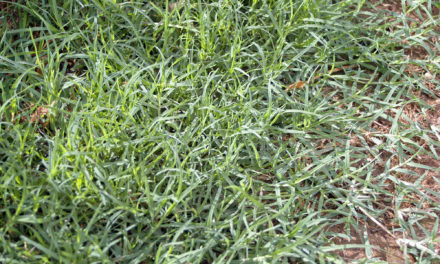 At lower elevations, fescue typically thins during summer, allowing crabgrass and other weeds to easily invade the lawn. If planted at lower elevations, expect summer disease problems, especially brown patch, and plan to re-seed periodically during the fall to help thicken the fescue stand. Each turfgrass has some major pest problem which could limit its use in certain locations. Major insect pests are chinch bugs, mole crickets, ground pearls, webworms, armyworms, grubs, spittlebugs and billbugs. Major disease problems are brown patch, dollar spot, Pythium, Helminthosporium leaf spots, spring dead spot, and gray leaf spot. Nematodes are the greatest single problem on some turfgrasses, which eliminates using the species in some home lawn locations. Other pest problems can occur and cause severe damage. Proper management practices will keep most pest problems to a minimum. The categories of turf leaf texture are coarse, medium and fine. This is a relative measure of the leaf blade width. The choice of texture is merely a visual preference unless the grass is important for a sport such as golf, which requires a fine leaf texture. Most southern lawn grasses such as St. Augustinegrass, bahiagrass, centipedegrass, fescue, bluegrass and ryegrass are coarser in leaf texture. Bermudagrass and zoysiagrass typically produce the finest leaf texture of the Southern turfgrasses. The number of leaves or shoots per area of the ground is a measure of turf density. Turf with high density and finer leaf texture generally produces better quality lawns. Turf with lower density and coarser leaf texture often requires a higher mowing height to produce an acceptable quality lawn and to discourage weeds. Higher density varieties include hybrid bermudagrass and zoysiagrass. Bahiagrass and tall fescue have lower stand density while other warm-season grasses have a medium density. Although fescue does tiller, it does not produce runners; therefore, periodic re-seeding in fall may be necessary to help thicken the lawn. 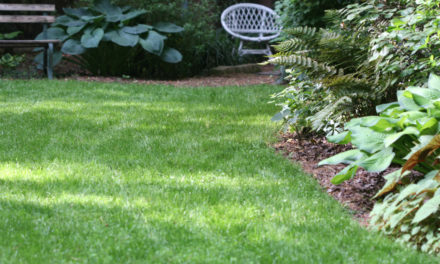 Centipedegrass lawn is a low maintenance turfgrass with a light apple-green color. Each turfgrass grows at a different rate and has optimum levels of fertility, mowing and irrigation, which produce a quality turf. Generally, as more water and fertilizer are applied to the turf, more mowing and pest control are required. Turf at a low level of maintenance is fertilized no more than twice a year, mowed as needed — often just to remove seed heads — and seldom watered. Moderate turf maintenance includes fertilization two to four times per year, weekly mowing and irrigation as needed. High-maintenance turfgrasses require monthly fertilizing, twice-per-week mowing, yearly dethatching and frequent irrigation during seasons of active growth. The growth habit of each turfgrass determines the mowing height for the best quality turf. Mowing the turf below the recommended height can cause stress on the plants and weaken the turf to invasion by weeds, insects and diseases. By mowing as high as possible for a given species, the increased leaf surface for photosynthesis will result in a deeper root system, better drought tolerance and healthier turf. The best mowing height for your turf will depend on several factors including amount of sun, turf species being grown, mowing equipment used, and management practices being implemented. Recommended mowing heights are just that, recommendations. It is up to the turfgrass manager to find a ‘best mowing height’ within the recommended height range. Turfgrass species and level of management determine how often a lawn needs to be mowed. The frequency of mowing can be reduced somewhat by moderating the amounts of fertilizer and water applied. Recycling lawn clippings also reduces the amount of fertilizer needed. Typically, bermudagrass requires the most frequent mowing of the Southern turfgrasses during summer to prevent scalping. For the optimum quality of cut, reel mowers are preferred. They cut similar to scissors and when the blades are sharp, produce the finest cut available. However, they should be used when the grass mowing height is below 1½ inches for best performance. For the highest quality lawn, reel mowers are often used on zoysiagrass and bermudagrass. Typically, most homeowners use rotary mowers, where the blades sheer or rip the grass. Sharp blades are needed for a reasonable quality cut with rotary mowers. Their minimum height of cut is about 1 inch. However, a denser turfgrass, such as zoysiagrass, should be mowed at 2 inches if using a rotary mower. These mowers are more dangerous to operators and nearby personnel as the blades tend to throw objects that are accidentally hit. Some turf species (e.g., hybrid bermudagrass, most zoysiagrasses, and St. Augustinegrass) are limited to vegetative propagation by sod, sprigs or plugs because seed is not available or does not germinate true-to-type. Other turf species produce seed in sufficient quantity and trueness-to-type to allow establishment by seed (e.g., bahiagrass, centipedegrass, carpetgrass, common improved bermudagrass, tall fescue, bluegrass and ryegrass). A quality lawn can be established by either method if the site is properly prepared and maintained. To summarize turfgrass selection, be sure to thoroughly research all the turfgrasses adapted to your particular region of South Carolina, and analyze your particular site to note specific growing conditions in the lawn area. Match up your growing conditions and intended turf use with the most appropriate turfgrass. Contact your local Clemson Extension Service office for information on growing conditions in your area if you are not well versed on local climates. See Table 1 for a comparison of the major grasses grown for lawns in South Carolina (note: cultivar variations may occur in characteristics). Table 1. 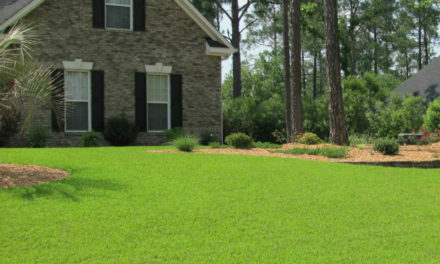 Comparison of the Major Grasses Grown for Lawns in South Carolina. *Tall fescue is a cool season grass and is recommended for the Piedmont and mountain areas of South Carolina only. **Dwarf St. Augustinegrass varieties only.